Pique Criollo La Parcha Apasionada is more than just zesty flavor sophistication, this sensational pique is hot stuff. 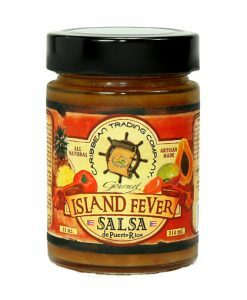 Puerto Rican Cabalero Peppers along with Habanero, Thai, Naga and Cayanne Peppers elevate Passion Fruit and other herbs and spices taking any dish to new heights. A real treasure for the tounge!